The Angry Birds Movie: A Good Egg Is Getting Cooked Up For 2016 | "DESTROY ALL FANBOYS!" While The Angry Birds Movie trailer met with the usual internet mix of smiles and grimaces (and the even more usual whines and moans from the haters), it really didn’t do much in the way of telling exactly what the film would be about. Cue Columbia Pictures and Sony sending out invites to assorted media folk to roll on by and see selected scenes from the still in production film presented by producer John Cohen in a fun behind the scenes “featurette” style like something you’d see on a Blu-Ray or DVD. Invite in hand, this little piggy went for a stroll down to Sony’s midtown screening room for a spell and came up for air quite pleased and impressed by what was shown. I can’t reveal anything about the clips, but Cohen’s presentation was perfect and answered the big fat question many have had since the film was announced. That being how the heck a game with no story to speak of is getting a full on feature film. In short, a story was written specifically for the characters in the game and how they first meet. It’s the three-act structure in full effect and as Cohen showed off artwork, character models and completed to in progress clips from the film, any skepticism I may have felt about the project was a distant memory long before his presentation ended. While I can’t talk about the scenes shown at all (yet), the animation, lovely color palette and most importantly, characters and their voices all fit to a T and yes, gave loads of life to the game’s popular cast. Jason Sudekis, Bill Hader, Josh Gad, Maya Rudolph, Peter Dinklage along with others voicing assorted birds and pigs got me grinning as if on cue in their scenes and Cohen noted a few more names I’ll get to listing in future updates. It was encouraging to see and hear other folks in the screening room laugh and smile at the clips during the same moments because of the audience was made up of a pretty varied demographic. In English, that means those Angry Birds on film will most likely be drawing in young and old viewers, something that’s good for both Sony and Rovio’s bottom lines. 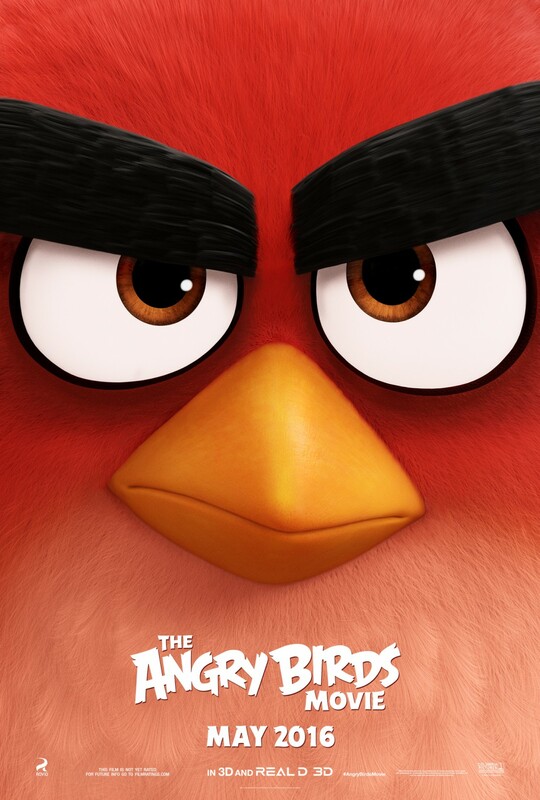 This entry was posted in 2015, Commentary, DAF, Features, Humor, Movie Posters, Updates and tagged 2016, Angry Birds, Columbia Pictures, Coming Soon, In Production, Movies, Previews, Rovio, Sony, The Angry Birds Movie, Work In Progress by geelw. Bookmark the permalink.